A vast great room ceiling would be cold and lost without proper attention. The beautiful details present an opportunity to enhance the architecture within this home. A combination of finishing techniques draws the eye upward and allows each feature to stand apart. We started with a blank canvas. The interior designer presented the fabrics that were chosen for furniture and window treatments. From this, it was easy to visualize the color story of the home. This room was a central location. It was open to the foyer, kitchen and stairway. All of the finishes needed to blend and be consistent with the adjacent spaces. Being so open, this room had very little wall space. All of the interesting architectural details were in the ceiling. That became our opportunity to create something special. 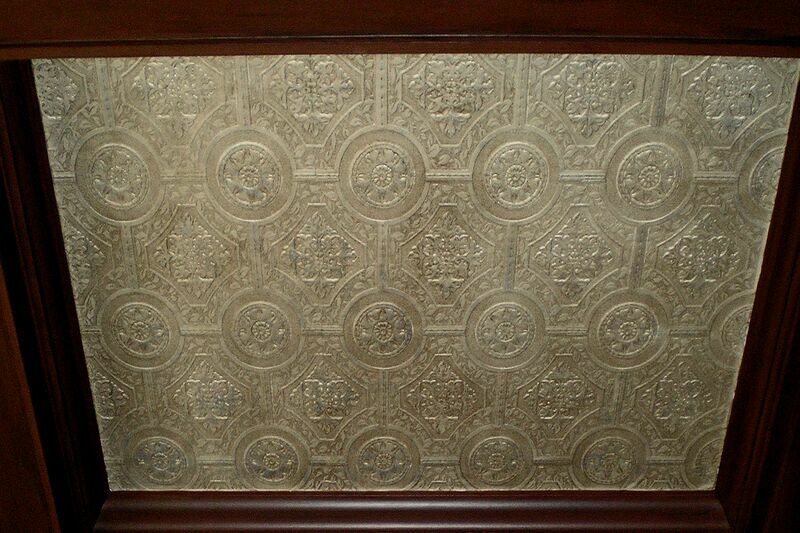 Textured wallpaper was applied inside the coffers. A pattern was chosen that would be consistent with the scale of the spaces. 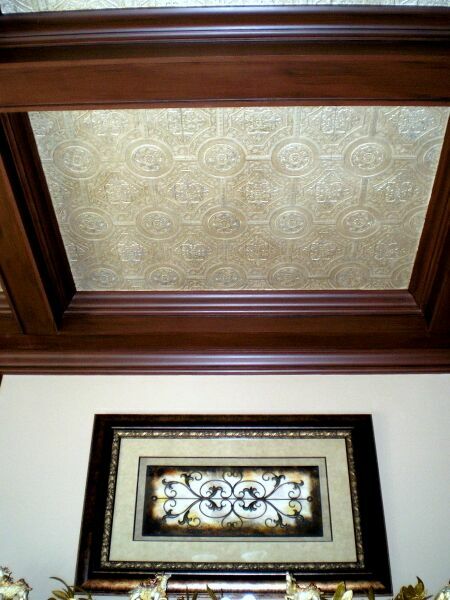 Once applied, it was treated with a 3 layer faux finish that incorporated multiple metallics. This enhanced the dimension of the raised pattern. A soft wood graining technique was applied to the beams. 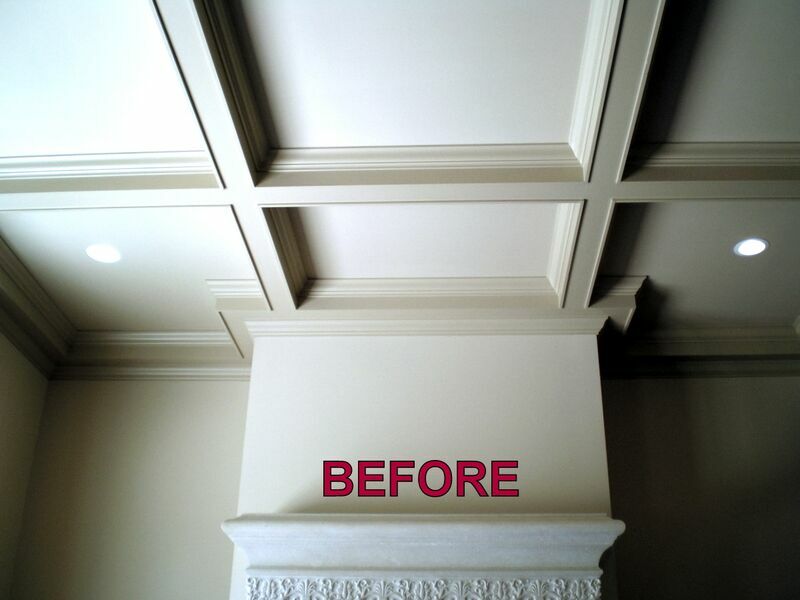 The contrast of dark next to light acts to outline and draw attention to the architecture within the ceiling. 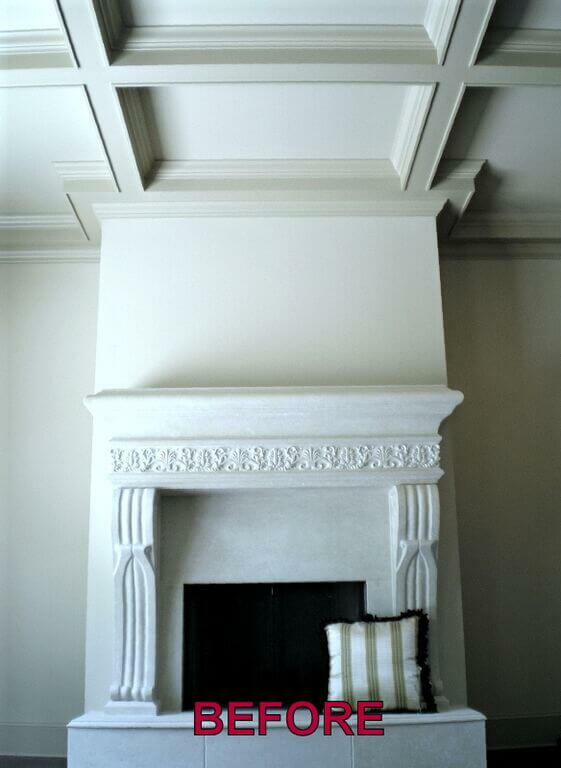 The finishes that adorn the ceiling are consistent with the design of the columns. This further invites your attention to move upward. By adding color and texture to the architectural details alone, this room takes on an impression of elegance. 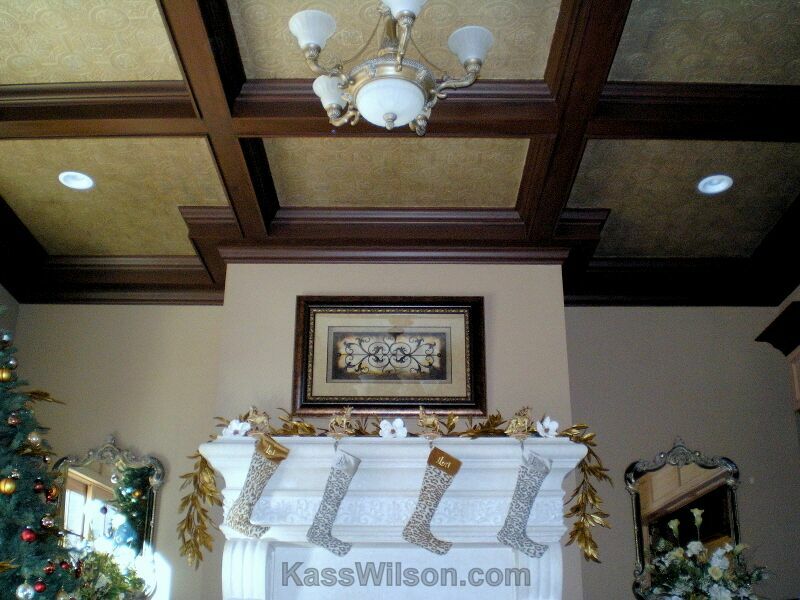 The faux finishes make this ceiling rise to the occasion by offering a crowning touch to this regal space. 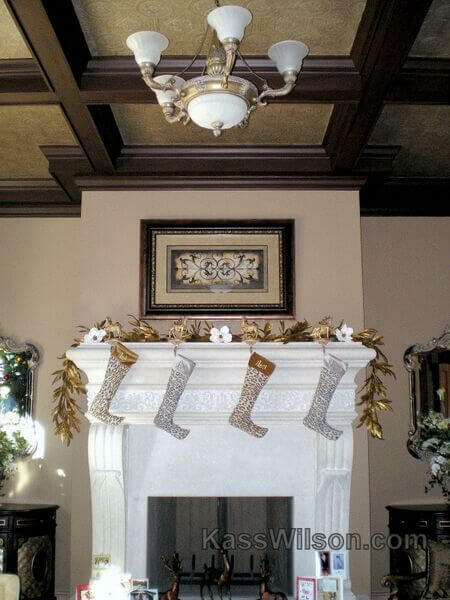 Special thanks to Laura Bloom of Home Expressions. 678-242-0480 www.homeexpressionsinteriors.com. 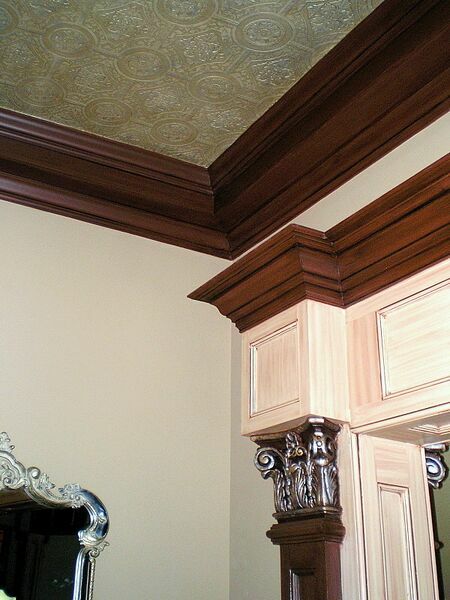 Be sure to visit our faux finish project galleries to view more transformations. Wow, is that ceiling gorgeous. Love the addition of the anaglypta. Beautiful work, Kass!